Beloved by millions, this timeless classic holds the key to all you desire and everything you wish to accomplish. 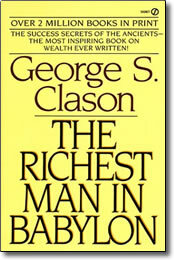 This is the book that reveals the secret to acquiring money, keeping money, and making money earn money. In language as simple as that found in the Bible, these fascinating and informative stories set you on a sure path to prosperity and its accompanying joys. Acclaimed as a modern-day classic, this celebrated bestseller offers an understanding of — and solution to — your personal financial problems that will guide you through a lifetime.